How do you maximize your returns from a Mutual Fund SIP? Investor : An investor is any party that makes an investment. In this type of mutual funds, your funds will be in invested in equities i.e. in the stock market.. It is primarily used as an alternate for short term FDs of banks/Financial institutions. In this type of debt funds, your money will be invested in short term investment items like certificate of deposit, commercial papers etc., These funds are highly liquid, which means you can convert them into money at anytime. For quite a long time, mutual funds have been offering people numerous advantages, which include providing investors with broad diversification, a relatively low cost of investment, professional management, and day-to-day cash conversions. If you decide to set aside a portion of your earnings for a bright future of you and your loved ones, what better option than a SIP or a systematic investment plan can one think of?SIP is an investment scheme to help you save regularly in small portions. The amount that you keep aside as SIP, thereby invests as a MF investment. 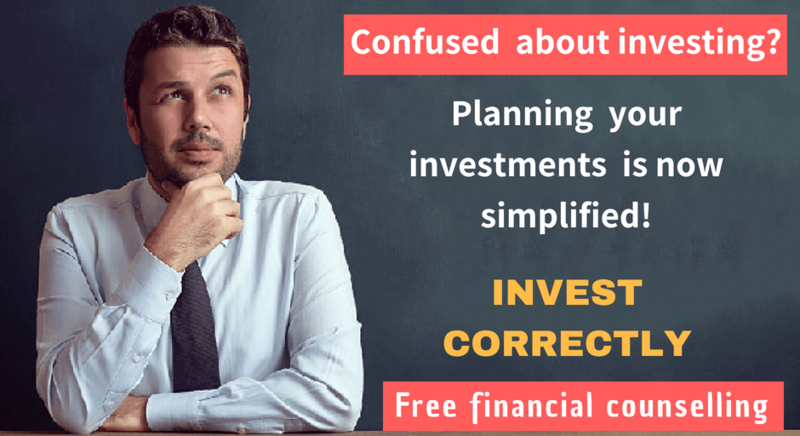 There are a few tips and guidelines, which one must remember and take care of, in order to maximize returns from his/her SIP in mutual funds. The common tendency of people starting with an SIP in a mutual fund, and then terminating the same once the market is on the drop, beats the whole purpose of investing through the SIPs. The method of staying invested over the whole cycle is a good approach as it allows you to take advantage of lower prices, as well as enables you to average out the purchase cost over time. Therefore, by exiting during the market decline, one abandons his chance of buying more units at low prices that can produce good returns, in case the market again takes a turn. One way to benefit from the SIP is to stay invested in it for a long term, almost through the whole market cycle. Like any investment, you should link your SIP with some financial goal . Not keeping eye on your goals will let you invest in a haphazard manner and even fall short of your requirements. List your goals in the order of priority, fix a period to achieve the same, and finally measure each goal in terms of the funds required. 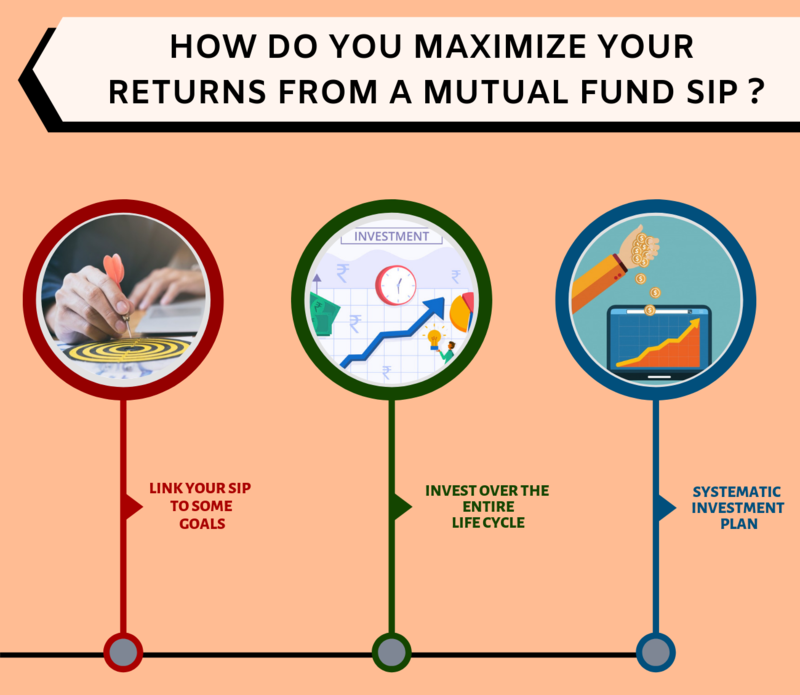 By doing this, you can make your SIP investments correspond to each goal, depending on the timelines and the risks involved. The greater benefit involved here is reducing the risks of timing the markets. As you stagger and invest over a period of time, you can reduce the impact of adverse market movements. Although SIPs allow you to invest a fixed sum monthly, but that does not mean that you have to stick to the same amount for the whole tenure. Your savings automatically go up, as your income rises.Therefore, the SIP amount should also keep raising in the same proportion. Always remember that your fund requirement increases over the years, due to inflation. Thus, to have an approach where you hike or step-up your monthly commitment every year, will ensure that you are in pace with the lifestyle changes and inflation.You need not allocate the extra savings to an additional SIP scheme; rather can proceed with the existing. You need to have enough balance in your bank account to ensure the fund availability for the SIP. However, it is also true that maintaining a big balance is not always prudent, as that does not fetch high returns. Alternatively, you can put a lump sum in the liquid fund and give the necessary instructions, in order to transfer a fixed sum to your chosen equity fund over regular periods. This may prove to be a better option, as the liquid funds fetch a better option, compared to a bank account. When near to your financial goal, you can choose SWP (systematic withdrawal plan). This lets you withdraw money at regular intervals over a period, thereby protecting your gains and ensuring your goal realization. In case, you do want to withdraw, you can also opt for systematic transfer plan (STP), where your money gradually moves from the unstable asset class to a more stable one. How to create a Power of Attorney as an NRI, that will not Backfire? Key points and a Free downloadable sample Power of Attorney template. Financial Planning vs Wealth Management: Which one to Choose? Holistic: Thanks. Happy to know that.